Pamper you palate with exquisite Thai and international delicacies crafted by your personal, internationally trained chef. Dedicated to using only the freshest ingredients available, you’ll enjoy many fruits and vegetables that were grown right here on the Pa Sak Tong Estate’s organic garden. To maintain the highest quality standards, we import ingredients that are difficult to source in Thailand, such as beef from Australia or New Zealand and cheese from France and Northern Italy. Please feel free to discuss any special dietary needs or requests with your personal chef. They will be happy to adjust any dish in accordance with your tastes or requirements. You’re encouraged to create your own menu or provide guidance for your chef in advance, and these examples are offered as ideas to get you started. "The food was outstanding. The chef produced the best Thai food we have ever had." 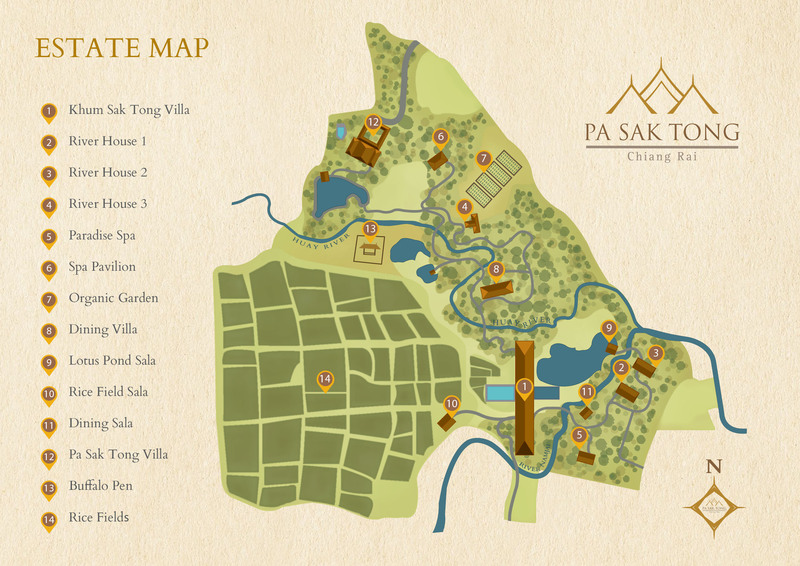 We’ll help you create a memorable, once-in-a-lifetime celebration in Chiang Rai, Thailand.